The USA Cycling Professional Road and Time Trial National Championships come to Chattanooga this holiday weekend. • Handcycling Criterium National Championship and Time Trials: For professional cyclists. Time trials at 8:30 a.m. Saturday, national championship at 12:30 p.m. Monday. • Children's Hospital Cycle for Miracles: To be held before Saturday's time trial at Enterprise South. Open to riders of all ages and abilities with 15-, 30- and 60-mile options. Registration fees are $60, $70 and $80. Proceeds go the Children's Hospital at Erlanger. Online registration closes at midnight tonight, May 23. Find the link at www.usacycling.org. • United Healthcare Kids Race: Riders in three age groups (3-6, 7-9 and 10-12) can participate in bike races Monday at the start/finish line. Thirty participants are allowed per age group. All participants must wear a helmet, and all participants receive an official water bottle and medal. Registration must be completed by noon Monday. Lineup is at 2:30 p.m., and the races start at 3 p.m. between the pro heats. Find the link at www.usacycling.org/national-championships or call 770-631-1239. Chattanooga steps onto the national cycling stage this weekend with the city's debut as host of the Volkswagen USA Cycling Professional Road and Time Trial National Championships. The championships, which crown the nation's best men and women professional cyclists in both road race and time trial contests, will return in 2014 and 2015. A special section in Friday's Times Free Press will offer more information, including specific routes and road closures. In the meantime, here's a short preview of what to expect. Saturday, May 25: The Volkswagen plant will be the venue for the 19-mile time trials, which start at 11 a.m. for women, 2 p.m. for men. The start/finish line is on Volkswagen Drive. The route stays within the Enterprise South property. Monday, May 27: The national championships will cover large portions of downtown, including the UTC campus and the North Shore, and Lookout Mountain. The start/finish line is on Market Street between M.L. King Boulevard and 12th Street. The course will require multiple laps. 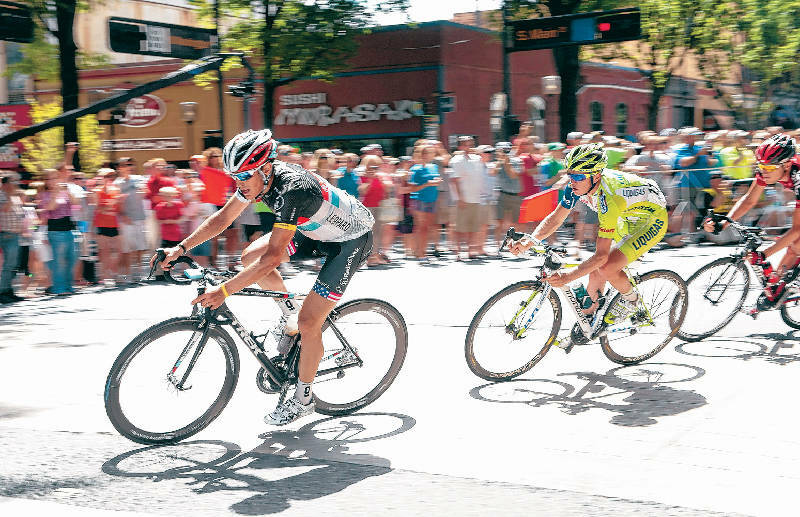 The 62-mile women's race is at 9 a.m., and the 100-mile men's race is at 1:30 p.m.
Spectators can watch at the start/finish line, on Lookout Mountain or along Frazier Avenue. Big-screen televisions at the start/finish line will show all portions of the race. CARTA will provide a free shuttle on Monday from Finley Stadium to Rock City, Incline Railway and Ruby Falls on Lookout Mountain. It will run every 20 to 30 minutes from 8 a.m. to 6:30 p.m.
At start/finish sites on both days, spectators may check out a business expo, two 18-wheelers with interactive exhibits and a Chattanooga Market-sponsored vendor area of foods and crafts. A Sierra Nevada beer garden will be available Monday as well.